As the month of August approaches, which is typically the hottest time of the summer, there are several car care tips we’d like to share with you to help keep your vehicle cool and in good working condition. High summer temperatures can affect your vehicle in many ways, including an overheated engine, paint damage or an increase in tire pressure. 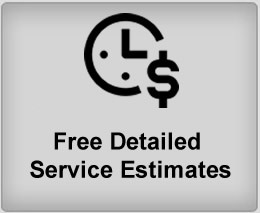 Knowing your vehicle and staying on top of routine maintenance can help you save a significant amount of money in the long run. Listed below are a few tips to help make sure your vehicle is protected against the hazards of high temperatures. Check the tire pressure to improve fuel economy and tire blowouts. 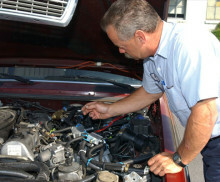 Perform regular maintenance and check your fluids to keep your vehicle’s engine system cool. Check the electrical system. If your car has a battery that needs to be topped off, check it regularly and add distilled water if necessary. Also, keep the battery clean from corrosion. Avoid sun damage when possible by parking your car in shaded areas away from the sun. Change wipers after heavy summer downpours. Fresh windshield wipers make a huge difference between seeing and not seeing while driving. Preparation and maintenance are key to handling the summer heat. By following the steps above, you will help your vehicle perform its best while dealing with the hazardous temperatures of the summer. And don’t forget that year-round maintenance on your vehicle is just as important.